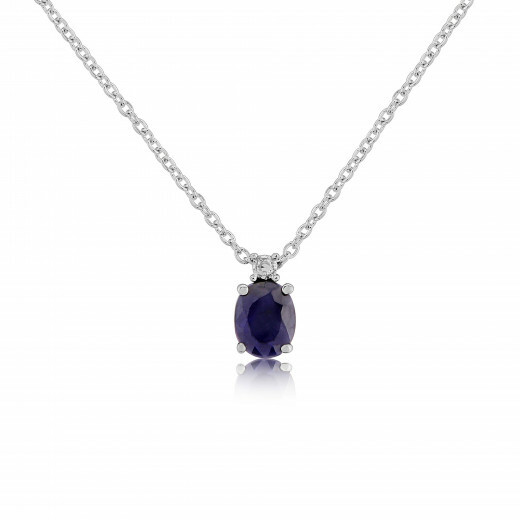 This delightful Pendant Necklace is perfect for those who love the deep blue tone of Sapphires (and for those who have this as their September birthstone) due to its simplicity and unfussy design. An oval Sapphire with a small brilliant Diamond is all that is needed for this Necklace to become one of your jewellery box staples. A tiny splash of colour and glamour in a classic piece.